Infectious diseases impact public health globally. Pathogen outbreaks affect the life of patients and create a high economical burden. Early detection and control of outbreaks is therefore key to protecting public health. 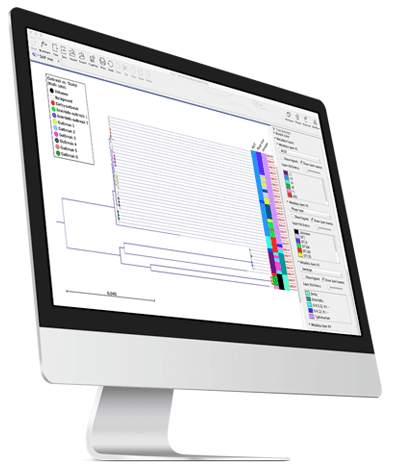 Whole genome analysis offers unique advantages when used for typing and characterizing microbial isolates. Whole genome data reveals the full picture providing taxonomic information and insight into factors like antimicrobial resistance. Once a pathogenic microbe is typed and characterized, comparative whole genome SNP analysis is the most accurate path to tracking a pathogen contamination back to the source. While crucial for outbreak control, whole genome analysis also enables quality control of starter cultures and biotechnologically valuable strains. Samples, metadata and all typing results are collected in an Analysis Dashboard providing a powerful overview of outbreak isolates. Perform automated NGS-MLST (Multi locus sequence typing). Find closest known reference genome. Find antimicrobial resistance genes and resistance-causing mutations. K-mer based trees from raw NGS reads, assembled contigs, and closed genomes. 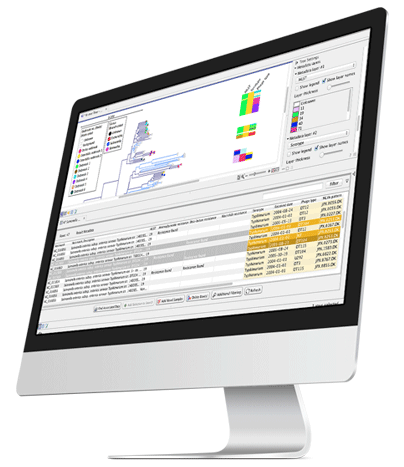 Whole-genome SNP trees for accurate outbreak investigation and source tracking of pathogen isolates. 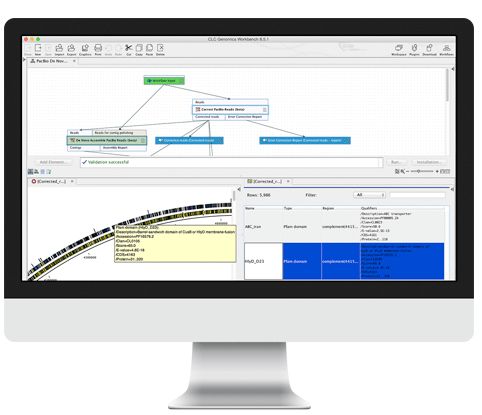 Trees can be explored in the context of typing results, epidemiological data or other sample information. Annotate gene models with Pfam- and GO information, or with top BLAST or DIAMOND hits.